That quote from author and playwright George Bernard Shaw pretty much sums up our feelings about food. And since Valentine’s Day is approaching, love is in the air—along with the aroma of a sizzling steak, French fries with truffle oil, and chocolate lava cake. Many restaurants offer special Valentine’s menus (make your reservations early—Valentine’s Day is the busiest day of the year in the restaurant business), but some restaurants have added many fun items that start next week. 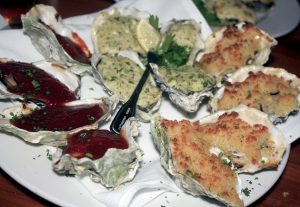 Bluewater Grill has been doing monthly themed menus for several years, but their annual “Foods of Love” celebration featuring oysters and champagne has become so popular that we’ve been told Executive Chef Jason Mazur has expanded it this year into a special three-course menu served as a tasting event and throughout the entire month of February. “Bluewater’s Foods of Love” on Feb. 7 (moved up a week to avoid conflict with Valentine’s Day) starts with Michelle Brut by Domaine Ste. Michelle or a champagne cocktail, followed by a choice of oysters on the half shell, panko fried oysters or salad. That’s followed by a choice of steak with crab risotto or pan-seared mahi mahi. For dessert, choose between salted butterscotch pot de crème or chocolate lava cake with raspberry coulis. Christopher loves oysters and seafood while Catherine prefers steak, so our choices on this menu are easy. The cost of “Bluewater’s Foods of Love” is $35 per person. 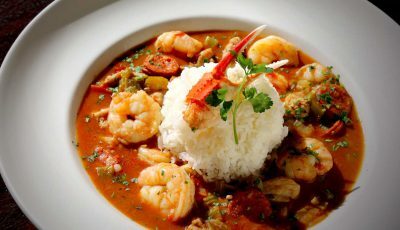 Seafood fans unable to attend the event on Feb. 7 can order the three-course menu throughout February for $40 with champagne or $35 without. 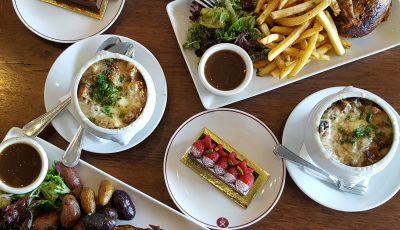 France, love and food all seem to go together, which is why Moulin in Newport Beach and Laguna Beach is offering a tasty trip to Paris with its special indulgent dessert called the St. Valentin, designed for two. 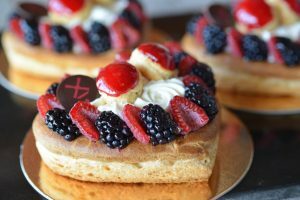 A twist on the classic St. Honoré (a puffed pastry dessert named after the French patron saint of bakers and pastry chefs, Saint Honoré), this heart-shaped puff pastry features fresh raspberries and blackberries atop a layer of pâte à choux. Inside the heart’s center are two additional puff pastries finished with a layer of caramelized sugar and berry glaze. It’s made for two to share, but just the description makes us each want to devour an entire dessert. Moulin has a variety of other decadent pastries and desserts guaranteed to delight your taste buds. 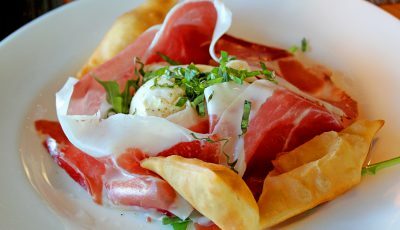 Visit moulinbistro.com. 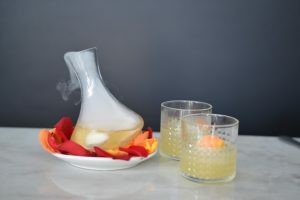 Valentine’s Day is all about love—and lovely libations, which is why Gratitude Newport is having a pre-Valentine’s celebration on Friday, February 10 with a Love Potions cocktail class inspired by Valentine’s Day. Gratitude’s Beverage Director Jason Eisner will lead guests through some of his favorite Valentine’s Day cocktails to get them ready for the big date night. According to Gratitude, Eisner’s ingredients include 2 oz Performance Art, 1 oz Education, 5 oz History and Legend, and 2 dashes Culture. Sounds like a great recipe to us! The class is 7 to 8:30, and is free to libation lovers. 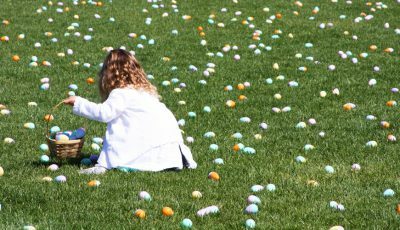 Gratitude is at 1617 Westcliff Dr. in Newport Beach. Visit cafegratitude.com. Ruby’s Diner on the Balboa Pier plus the locations in Corona del Mar and Laguna Beach have two sweet deals to celebrate Valentine’s Day. From February 10 through 14, enjoy a classic breakfast date with two entrees valued at $11.99 or less plus two cups of coffee for just $19.99, or for lunch or dinner share two classic Ruby Cheeseburgers with one shake or two kids shakes for just $19.99. 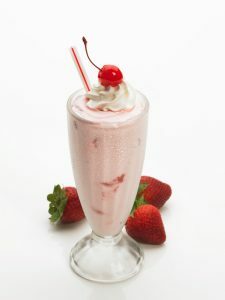 On Valentine’s Day (Feb. 14) enjoy two shakes for the price of one. The two shakes can be two adult shakes, two kids shakes, or mix and match. These sweet deals are for dine in only. No substitutions. Visit Rubys.com. So where will we be dining for Valentine’s Day? Usually we like to make the rounds to several spots, but this year we’ll probably end up at Mix Mix Kitchen Bar in Santa Ana. We’ve been to Mix Mix four times since Chef Ross Pangilinan left Leatherby’s in November to open his new restaurant, and we love everything about it, from the creative cocktails to the incredibly inventive menu. This Valentine’s Day, Chef Ross is offering two prix-fixe menus: four courses for $65 per guest, or five-course menus for $85 per guest. The prix-fixe menus will include signature items such as Filipino Ceviche, House-made ‘Chitarra’ Pasta, and Foie Gras Torchon (an insanely delicious dish). In addition to wine pairings, the Mix Mix Bar has designed a variety of cocktails for both sweethearts and singles; including Love Potion #9, a cocktail designed for two with Barrel Hitch Oak Whiskey, chamomile cordial, amontillado sherry, angostura bitters, orange bitters and lemon oil.